Natural selection sorts through the variability generated by mutation and biases evolution toward fitter outcomes. Mutation, while generally agnostic to fitness can also bias evolutionary outcomes because certain types of mutations occur more frequently than others. For instance, it was generally assumed that the extreme variation observed in nucleotide content among bacteria (from ~20% to ~80% GC) is predominantly driven by extreme differences in mutational biases between different bacterial lineages. Under such an assumption, mutation would have to be strongly AT-biased in some lineages and strongly GC-biased in others. In sexually reproducing organisms mutational biases can be investigated by examining low frequency polymorphisms. In bacteria, however, this has not been possible because the concepts of species and polymorphism are ill-defined. 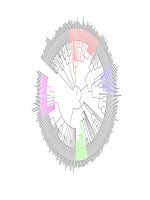 In a paper recently published in PLoS Genetics, Ruth Hershberg and Dmitri Petrov demonstrated that bacterial lineages that recently developed clonal, pathogenic lifestyles evolve under extremely relaxed selection, and are uniquely suitable for the study of bacterial mutational biases. We analyzed large sequence datasets from five clonal pathogens in four diverse bacterial clades spanning most of the range of genomic nucleotide content. Contrary to expectations they found that mutation is AT-biased in every case to a very similar degree. Furthermore in each case mutation is dominated by transitions from C/G to T/A. These findings demonstrate that mutational biases are far les variable than previously assumed and that variation in bacterial nucleotide content is not due entirely to mutational biases. Rather natural selection or a selection like process such as biased gene conversion must strongly affect nucleotide content in bacteria. 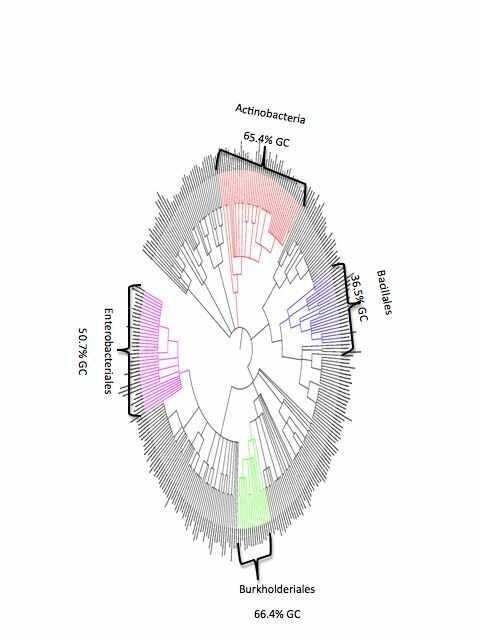 A paper by Hildebrand and colleagues published back-to-back to ours inthe same issue of PLoS Genetics reached similar conclusions: Evidence of Selection upon Genomic GC-Content in Bacteria. PLoS Genetics also published a commentary on this work by Eduardo Rocha and Edward Feil: Mutational Patterns Cannot Explain Genome Composition: Are There Any Neutral Sites in the Genomes of Bacteria?